After three onfield batterings on the trot, Moyes and his army find themselves in deep deep relegation doh-dah! While the off field problems are undoubtedly an unwelcome distraction, central to our recent difficulties has been the loss of a functioning formation that can deliver goals while keeping it tight at the back. 1. Bring Masuaku straight back into the side. After serving a harshly prolonged six week ban, Arthur has served his punishment and will be chomping at the bit. Its hard not to notice hoe Arnie has lost his form since Arthur went missing. 2. Drop Joao Mario. We might dream of he and Lanzini pairing up as the Mario brothers but in reality we dont have room for two defensively lightweight players in midfield. 3. Its time to promote Declan Rice to a regular starting berth in midfield. I am a big fan of Kouyate but he is horribly out of form and our midfield lacks a bite that Rice's energy can bring. 4. Use Chico more. We would really benefit from some of the cheaper goals that a predator like Hernandez brings. With some tense and likely close encounters looming against Southampton and Stoke, he can be the difference. 5. Bring back Payet. Just kidding! We need players with true grit, warriors who will put bodies on the line etc etc...thank God Ginge is back at centre back. We'll be needing him. Its incredibly tight in the bottom half this year. The smalkest of things might tilt things in the right or wrong direction. 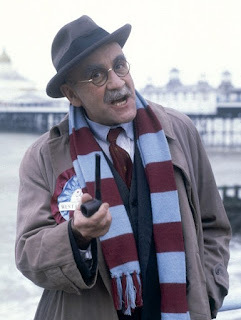 Whatever your thought on all the off field goings on, we need to heed Sir Trev and shelve the issue until we are safe. Let's all get right in behind the team and give them that boost that might make all the difference. That's what 'real' fans do. Labels: Arthur Masuaku, Declan Rice, Javier Hernandez, Joao Mario, Southampton, Stoke City, West Ham United.